Chinese smartphone brand Honor aims to garner 15-20 per cent smartphone market share by 2020 which will make it third-largest player in the segment, a top official of the firm said. “First, this year, we will build clear brand image of top-quality product in India. We invest a lot in our products. We have sent so many experts here to improve quality of production here. We will build trust relationship with local channel partner, retailer, internet service companies, etc. If we have this kind of relationship with eco-system, market share will follow,” Honor Business Unit President George Zhao told PTI. 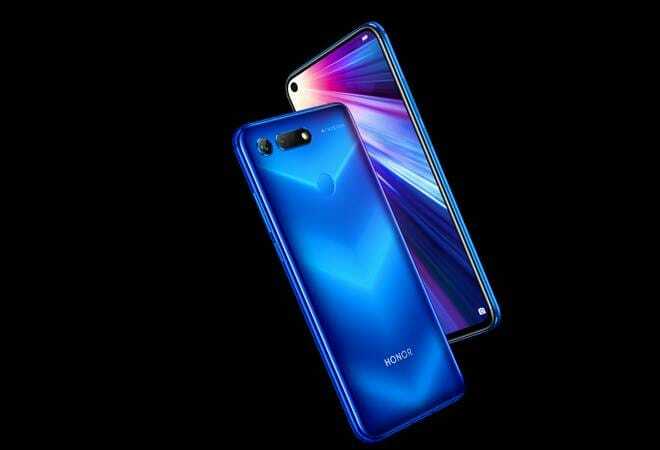 When asked about the market share that Honor expects by 2020, Zhao said “15-20 per cent” and added that “it is not much important”. The Honor brand, from Chinese telecom firm Huawei, has been targeting to garner 10 per cent market share. Honor has been one of the fastest-growing brand in 2018, however, its market share was estimated to be around 3 per cent, as per Counterpoint Research. “We can pave the way to become number one in India. We have to make people aware of our quality. Ninety-ninety five per cent of Honor phones are manufactured in India. In India, today, if you go to Amazon, our return rate is the lowest and loyalty for Honor brand customer is very high,” Zhao said. Honor has the target to be among top-4 smartphone brands globally and top-2 in China. Chinese telecom firm Huawei started Honor brand for sale of smartphone through e-commerce platforms in economy to medium range segment. In the past two years, the brand has been offering smartphone in the premium segment as well which falls in the price of range of Rs 30,000 and above. Huawei brand smartphones, which were positioned by the Chinese telecom firm as premium brand only, have started coming in medium range as well. Zhao said that in retail market, Honor will compete with Huawei brand phones as well. “When end-consumers go to market, Honor and Huawei are two choices. From this point of view, we are competitors. We will have products starting from Rs 6,000 to Rs 50,000,” he said. Honor this year will focus on retail channel partners in tier-I and tier-II cities and then expand to other cities. “I believe if you want to make one-time effort to gain big market share then you will lose also very soon. There have been many brands in India but only few exist now. We have to ensure retailers should be profitable. In the tier-I and tier-II, it is easy to implement our strategy and then expand to other parts gradually,” Zhao said. When asked about investment that Honor plans to make to compete with rivals, Zhao said budget will depend on business plan of local team in India and additional budget will be provided if the performance goes well. “They (Honor team in India) can decide (budget) by themselves. We will introduce new categories — smartwatch and tablet. If they plan to start new products — tablet, laptop, we will give them additional budget,” Zhao said. He said Honor will diversify its product portfolio with foray into tablet segment this year and may even introduce selling laptop. “Tablets will be there for sure,” Zhao said.